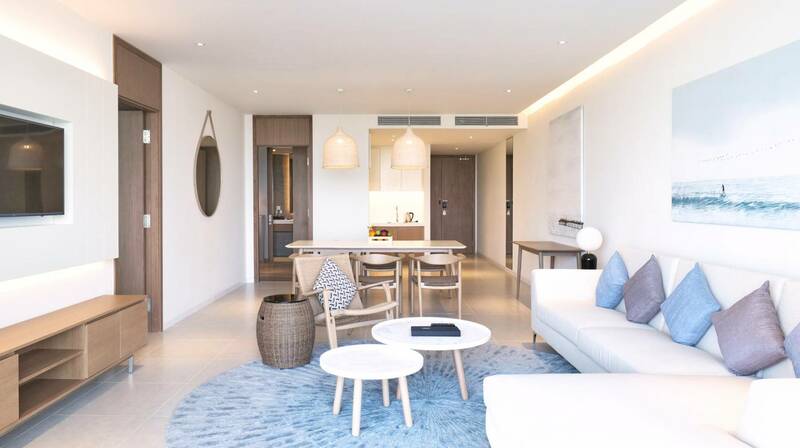 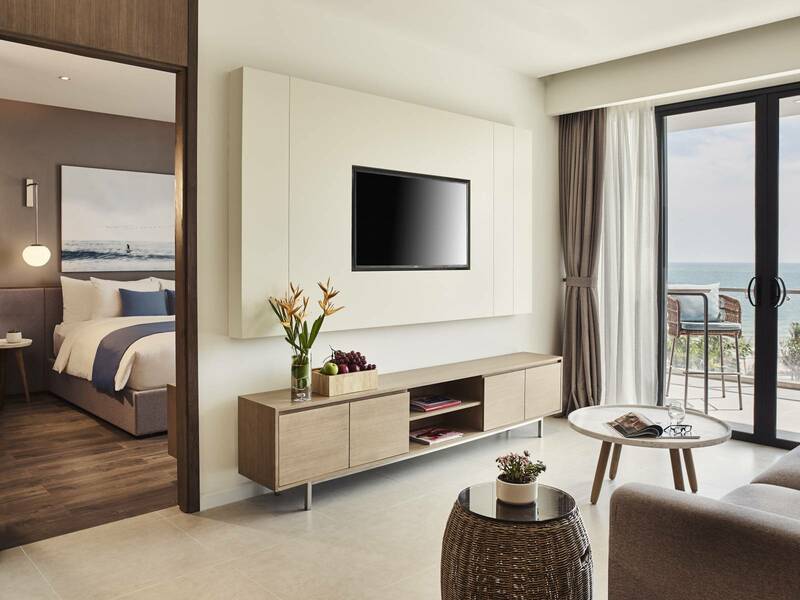 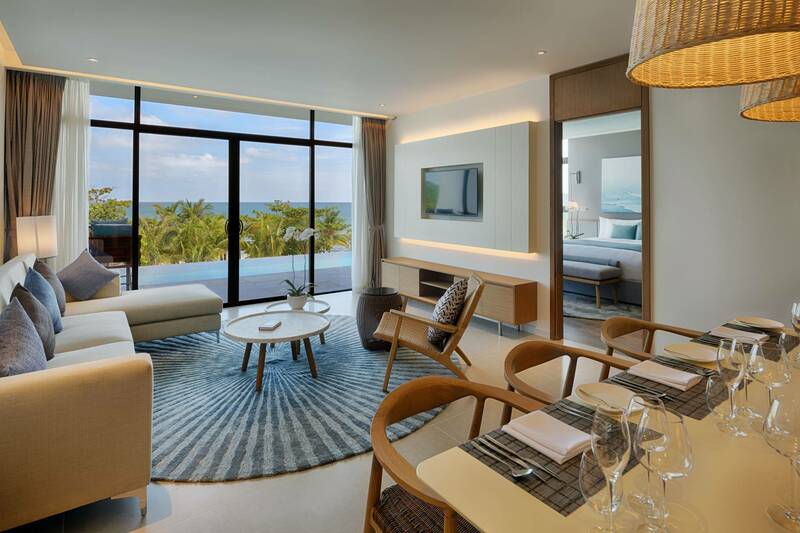 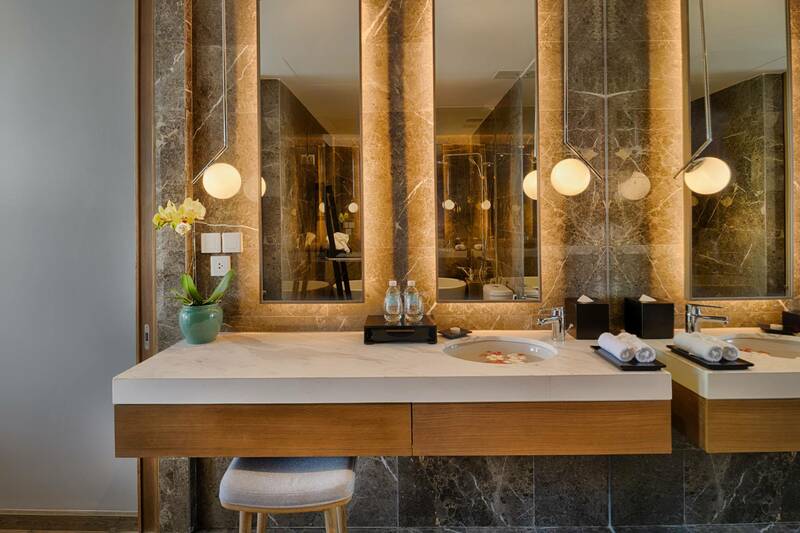 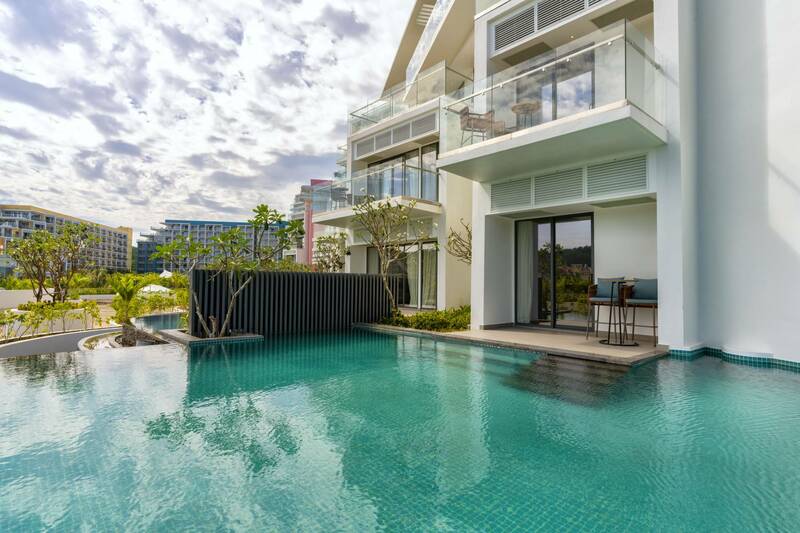 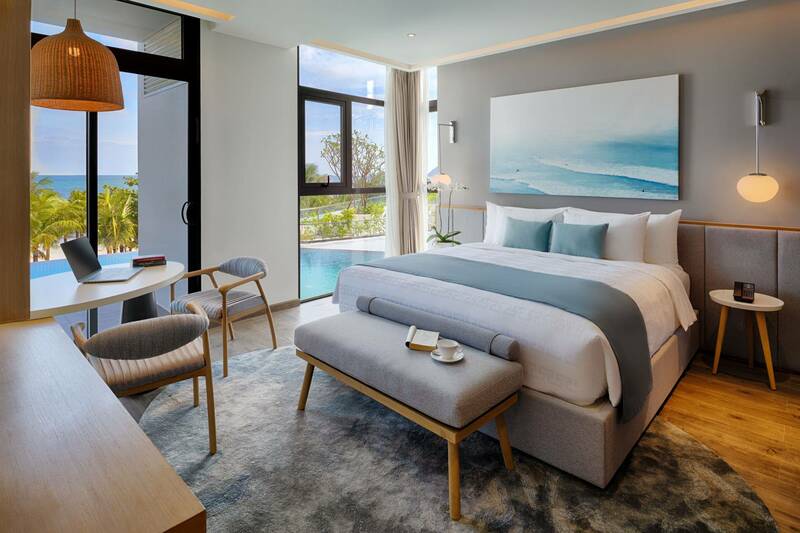 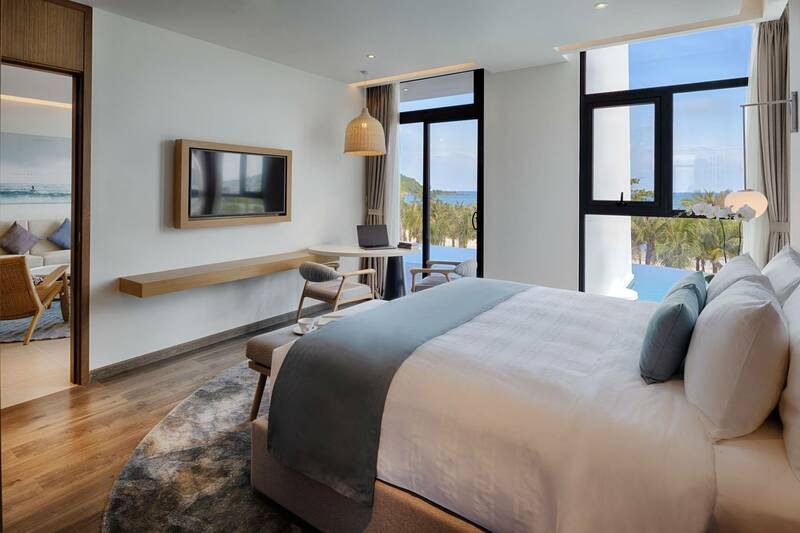 Our spacious 132sqm Apartments 2 Bedrooms sit closest to the beach, allowing guests to enjoy a pleasing sunrise view with daily ocean breeze from Khem Beach. 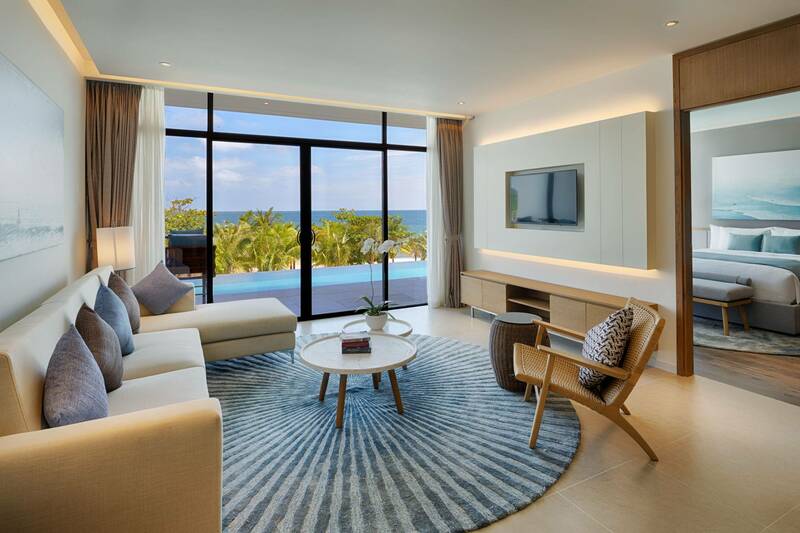 Soothing earth tones and hardwood floors create a relaxing ambience in the large living room, kitchenette and dining areas for 6 persons. 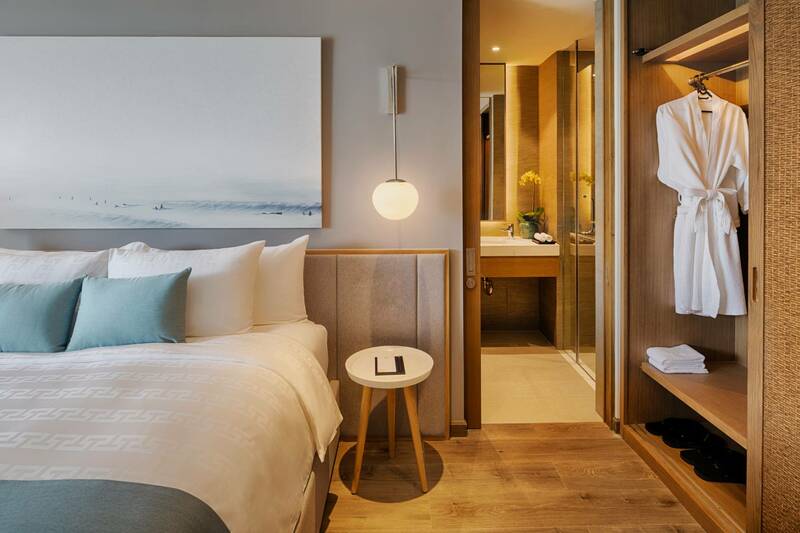 Two separate bedrooms with luxury bedding and private showers will ensure optimal relaxation at the end of the day. 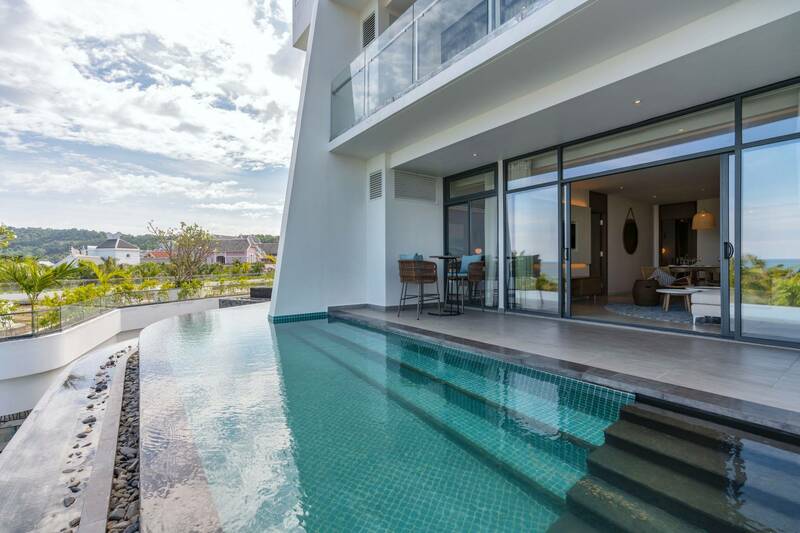 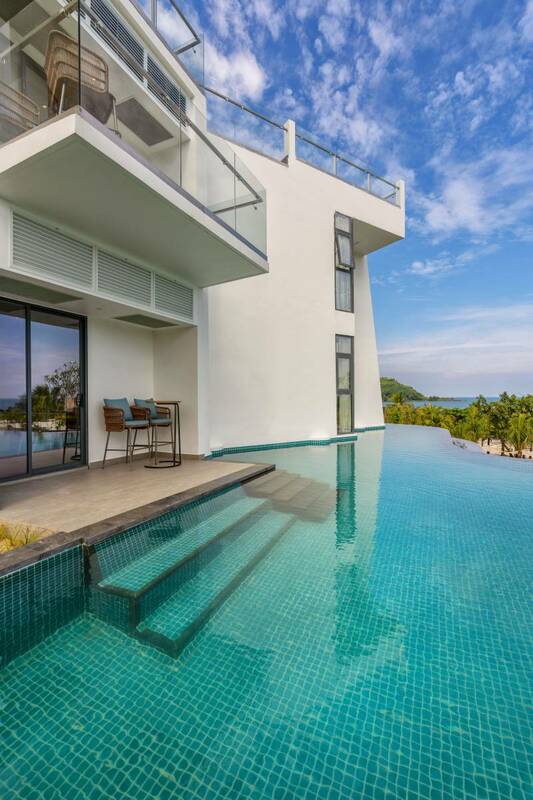 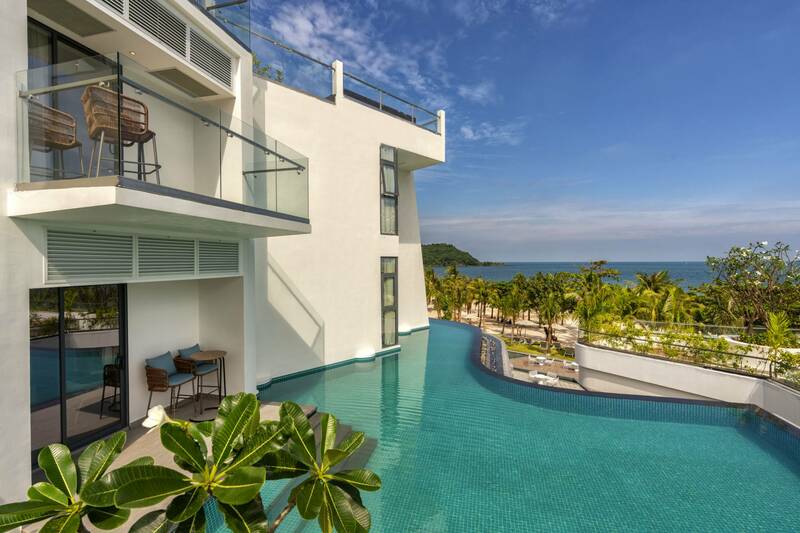 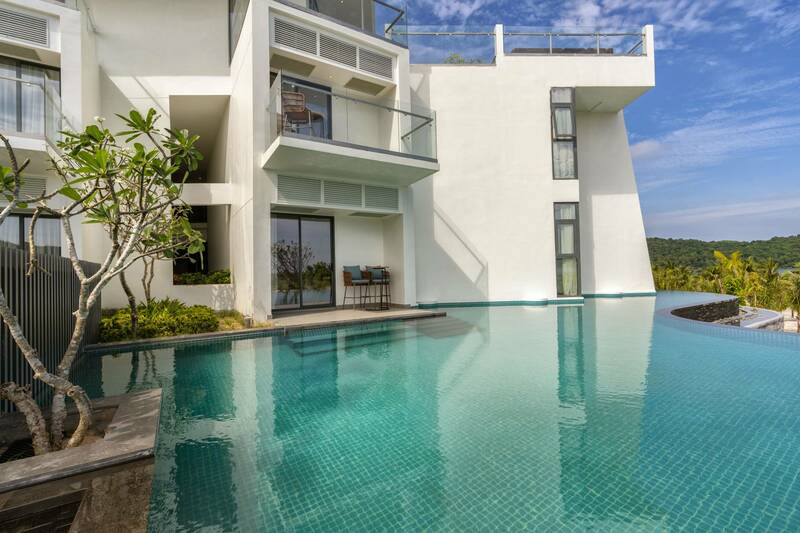 A option with private plunge pool facing the ocean is available.